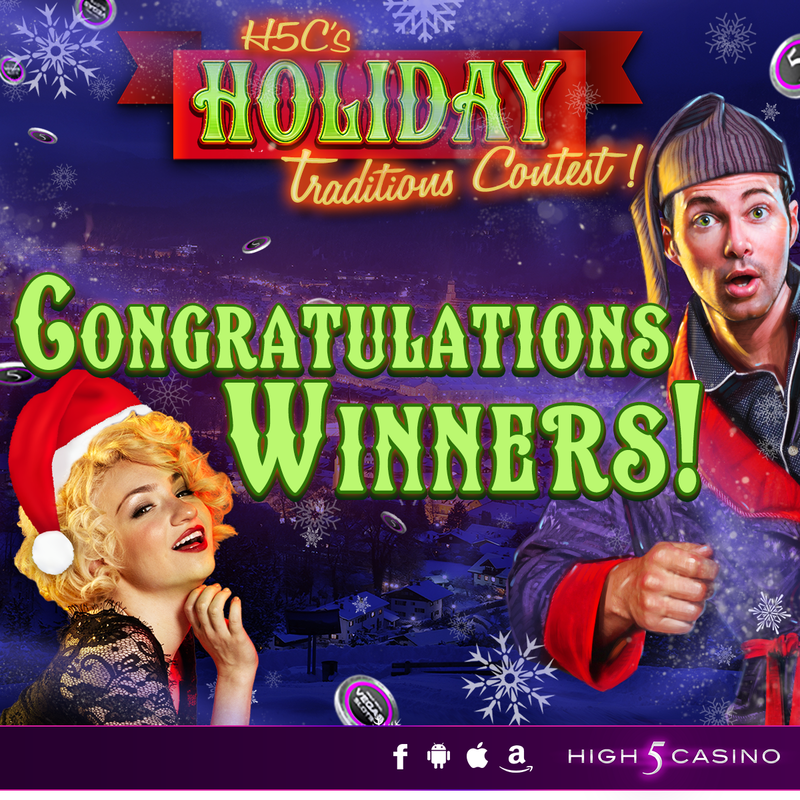 Congratulations to the winners of H5C’s Holiday Traditions Contest! During the month of December, my children and I get together at my house and must make our homemade cutout cookies. We must make at least 500 cookies and then for a few days sit and decorate each one. We always must give the family members a container of these cookies which they know were made with love. While we are together doing these cookies, we have the special time talking about the past xmas’s with the funniest stories ever. This is truly a must each year to continue the holiday feeling. Every year since my first daughter was born my husband has taken her to buy stocking fillers for me. Once they were bought I would join them for lunch and a drink this is a day that we all love and it has become our tradition. Every year, we would invite over thirty relatives for Christmas dinner in our small apartment. It may have been super cozy but it sure was fun! The cooks would bring in their signature dishes and I would do my annual thing. What was my annual thing? Wreck something! Burn the mashed potatoes, over salt the salads, forget a layer for the lasagna, get a big boned turkey with little meat or not enough drinks. My annual thing also had a name. Erminia’s Annual Freakout Stressout! Breathe-it’s ok.
Well to start this holiday tradition we like to go hand cut a Christmas tree, me my wife and now my son. We started this tradition with my parents a few years back but since our son was born it’s been way more interesting and exciting for us, he loves to be outside so it works out perfectly. Anyways, when it comes down to picking the perfect tree my wife has to inspect it to make sure it’s perfect, of course, then we take a picture by it and I begin the cutting. I will keep this tradition going forever! Make sure to check if you are one of the 200 lucky winners today in the list below! All winners will receive 200K coins and an exclusive 2017 High 5 Casino Calendar that will arrive within 2-4 weeks! Congratulations to you all! Elena N – Mexico City, D.F. This entry was posted in High 5 Casino, High 5 Games and tagged Android, App Store, Apple, Facebook, Free Games, High 5 Casino, High 5 Casino Mobile, High 5 Games, iOS, iPad, iPads, iPhone, iPhones, mobile gaming, Slot Fundamentals, slots, social gaming by hoothigh5. Bookmark the permalink.